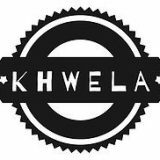 Khwela (which means “climb” in isiXhosa) is a cutting-edge hospitality academy in South Africa, which teaches previously disadvantaged female students through an internally Swiss accredited online learning platform, three-week overland trip through the country and a five-month paid internship. Students are learning in real time, and have to solve scenarios and challenges in small groups to promote peer-to-peer learning. Our aim is to decrease the percentage of youth unemployment (as high as 67% in South Africa) by empowering young women and helping them to succeed in full-time jobs after our training and internship. We have structured the program to prevent major barriers to entry: most significantly, many unemployed young women have no access to any money for transport and food, so providing the monthly stipend is crucial.